The club was founded in Skopje in 1947. Although the club of the same name appeared earlier. The first beginnings of football in Macedonia dating from the 1909th First Skopje club (founded in 1913) was called Vojnovic, but the First World. War interrupted his activity. After the 1919 leading club was SK Napredak, gathered the intellectuals and high school students, one of which is a group broke away and founded the Vardar, which soon fell apart and changed its name to SK Balkans, and in 1927 the SSK (Skopje sports club). After II. World War in the 1946-1947 championship played Pobeda Skopje, and after the merger of Pobeda and Macedonia (1947) was created FK Vardar, which was first played in Yugoslav Championship 1947-1948. 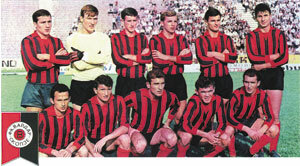 The biggest success of the club winning Yugoslav Cup in 1961. Champion of Macedonia 1993-95. 2003. Color jersey red-black, white backup. The club won its first major trophy in the 1961 Yugoslav Cup. Many famous players from the region started their careers at Vardar, and their triumph in the Yugoslavian Cup was a highlight. The leader of that particular generation of players was Andon Dončevski, who would later find success as coach of the 1987 title winners. Due to massive irregularities during the last 34th week of fixtures, the 1985-86 Yugoslav First League season ended notoriously. Yugoslav Football Association headed by Slavko Šajber voided the last week results ordering a replay of all 9 fixtures. Twelve clubs were docked 6 points due to alleged participation in the match-fixing scandal. All teams agreed to replay their games with the exception of FK Partizan who refused. That decision would eventually cost them the championship. The league title was awarded to Red Star Belgrade. What followed is a series of lawsuits on behalf of FK Partizan and the case was taken to the Yugoslav Constitutional Court. The following 1986-87 Yugoslav First League season saw 10 teams starting with -6 points. 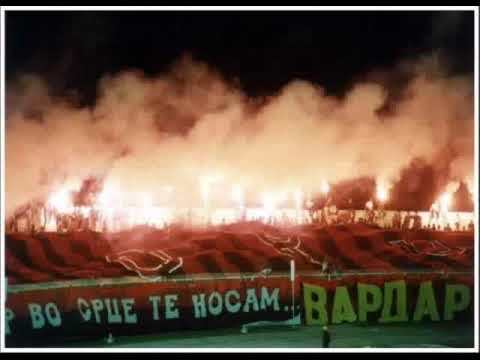 Vardar would go on to win the league title that year with 38 points. After the completion of the 1986-87 season, the court ruled that there was no evidence of wrongdoing in the week 34 of the previous season. The title was given back to FK Partizan and that also meant that there was no merit for the 6-point docking thus the final standings were re-counted. Partizan became the new champion with 42 points. Nevertheless, Vardar represented SFR Yugoslavia in the 1987-88 European Cup. 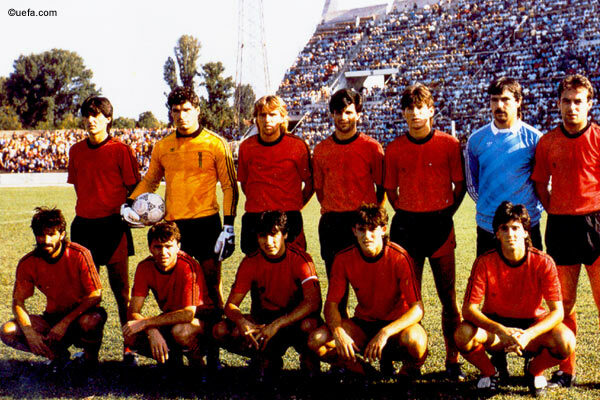 The 1987 championship team brought together a group of wonderful players, led by the talented Darko Pančev and including Ilija Najdoski, Dragan Kanatlarovski and Vujadin Stanojković. FK Vardar went on to spend 33 seasons in the Yugoslav top flight from 1947 to 1992 and is ranked 11th on the all time table. Vardar celebrated Macedonia's independence by winning three consecutive titles including going unbeaten in the inaugural season. During the 90's they remained at the top of Macedonian football reaching five Cup finals (winning four) and have always been the team to beat. After a lean spell by their standards, they won the league again in 2002 and the following season just missed out on qualifying for the UEFA Champions League group stage. A remarkable achievement, in the 2nd round of qualifying they eliminated CSKA Moscow and came within a goal of getting past Sparta Prague. In 2011, Vardar was originally relegated from the First League, but after a merger with Miravci it stayed. The following season they won the league after nine years. To date they have 13 major honors to their name. In 2012, with the new transformation football club Vardar became the first team in Macedonia organized as a joint stock company incorporated under the companies act. On 3 June 2013, Vardar defeated Horizont Turnovo 5-0 in the final match of the season to clinch their seventh Macedonian league title. This was the fourth time in club history they had successfully defended a league crown.